Nintendo kicked off the final day of Treehouse Live with a huge announcement for fans of its classic games: Two arcade games that have never been officially released on home consoles are coming to Switch’s Arcade Archives: the original Donkey Kong, which is available now, and Sky Skipper, coming in July. Donkey Kong is a major milestone in Nintendo history, marking Shigeru Miyamoto’s first game design, the company’s first major hit, and the origins of its most-loved characters and Pauline. 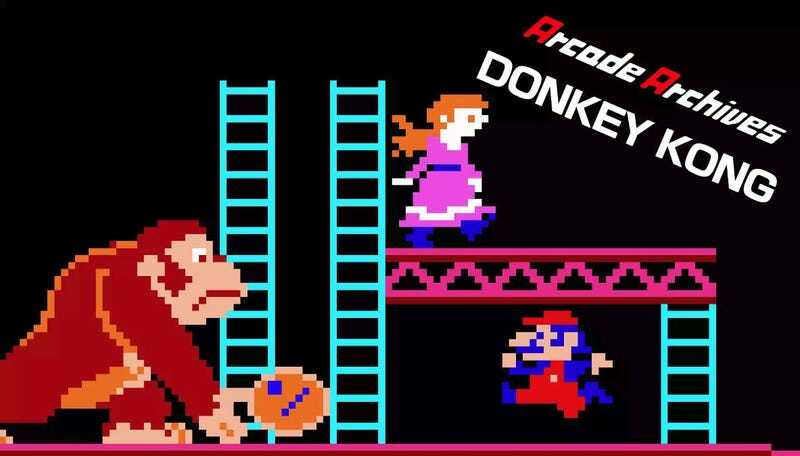 While versions of Donkey Kong have been released on many platforms, this is the first time that the actual arcade ROMs are being officially made available. For a long time, it was thought that an official re-release of the arcade Donkey Kong might be impossible because of copyright issues related to its source code, but apparently those are all resolved now (if indeed they ever existed). Hamster, the publisher of Arcade Archives, is going the extra mile with this release, as it will actually include three separate versions of Donkey Kong: The original Japanese release, which still had some major bugs; the fixed Japanese release; and the slightly-tweaked “International” version, which is what we got in the U.S. in 1981. Nintendo executive Don James, the only current Nintendo of America employee whose tenure stretches all the way back to the release of Donkey Kong, appeared on the Treehouse Live stream to introduce the game. But he also had another surprise, this one a deep cut from Nintendo’s archives. Sky Skipper was a 1981 Nintendo arcade game that was never officially released. Nintendo of America had 10 cabinets, and it put a few of them on “location test” in bars and arcades to see if players enjoyed them. Reactions were apparently not great, as Sky Skipper never got beyond that. Only one of those cabinets is still in existence today, as far as anyone knows. Fortunately, it was at Nintendo’s HQ. Sky Skipper has been an object of desire for Nintendo arcade fans for decades now. In 2016, Nintendo allowed some arcade restoration experts to examine and scan the artwork on its cabinet in order to assist in restoring some of the existing Sky Skipper boards into full cabinet versions. That artwork, by the way, has long been thought to have been drawn by Shigeru Miyamoto, based on the style and the knowledge that Miyamoto did a lot of promotional artwork for Nintendo’s games in his early, pre-superstar years. Today on the stream, Don James confirmed that he spoke with Miyamoto earlier this week, and Miyamoto gave James permission to say that, yes, he did indeed draw the Sky Skipper cabinet art. Sky Skipper will be available on the Switch at some point during the month of July. Other Nintendo arcade games that have been released so far include Mario Bros., Punch-Out! !, and Vs. Super Mario Bros., with more to come in the future.